You know when you make something and you just want to wear it every single day? You miss it when it's in the laundry basket, and can't remember what you used to wear before you had it? This is the outfit for me. 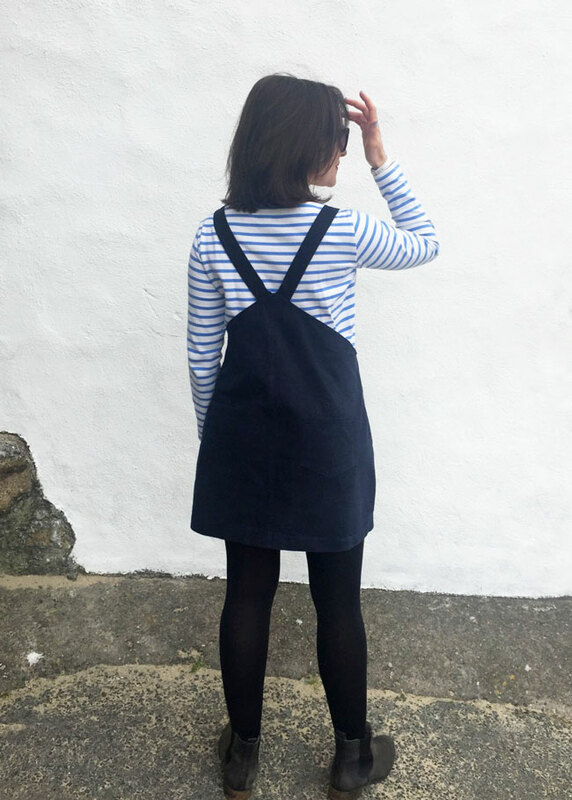 I've got four Cleo dungaree dresses now, and this is the first version I made back in the Summer - and where it all began. I started off drafting the pattern for myself, then cut it out and stitched it together in an afternoon. When I couldn't wait to wear it again, when people kept asking where it was from, and when the ladies in the office wanted to make one too, I decided we should make it into a Tilly and the Buttons pattern to share with you guys. 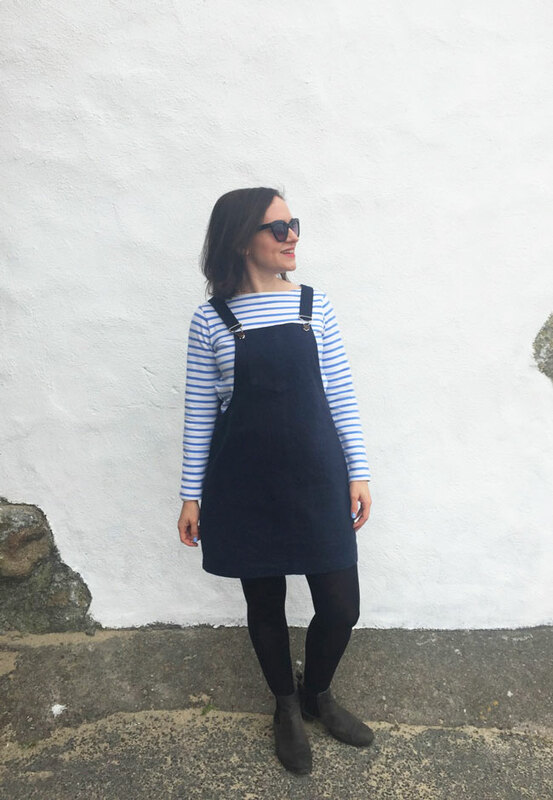 What I love about this dress is that it's cute, preppy and trendy - so makes you look like you've made a bit of an effort - and at the same time it's so ridiculously comfortable! 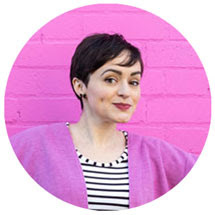 I've been wearing my Cleo dresses pretty much non-stop, over t-shirts in the Summer, shirts when the weather started turning, and more recently over sweaters and turtlenecks. It's become my go-to outfit. 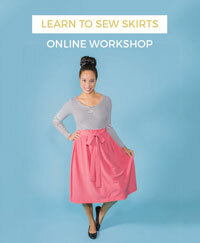 For this version I used a brushed cotton twill that has been sitting in my stash forever. 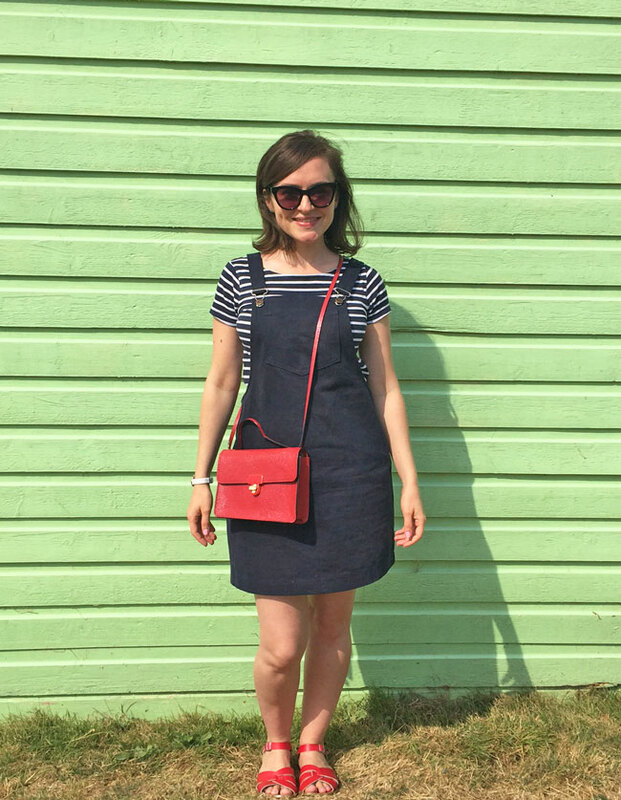 The colour navy is a bit like a black hole in photographs - sorry about that! What you can't see are the pockets - a large top pocket on the front dress, and two smaller hip pockets on the back. Also you may notice that the shape of the back is slightly different on this version - on the finished pattern the top of the back dress has a lovely gentle curve. And here I am rocking it last Summer! 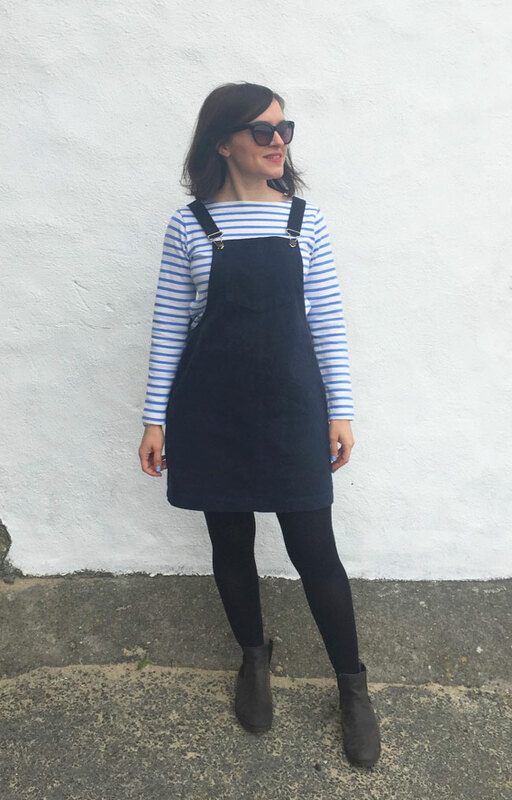 If you fancy making your own Cleo dungaree dress, you can order the sewing pattern from our shop or one of our stockists. I hope you enjoy making and wearing it as much as I do! PS. 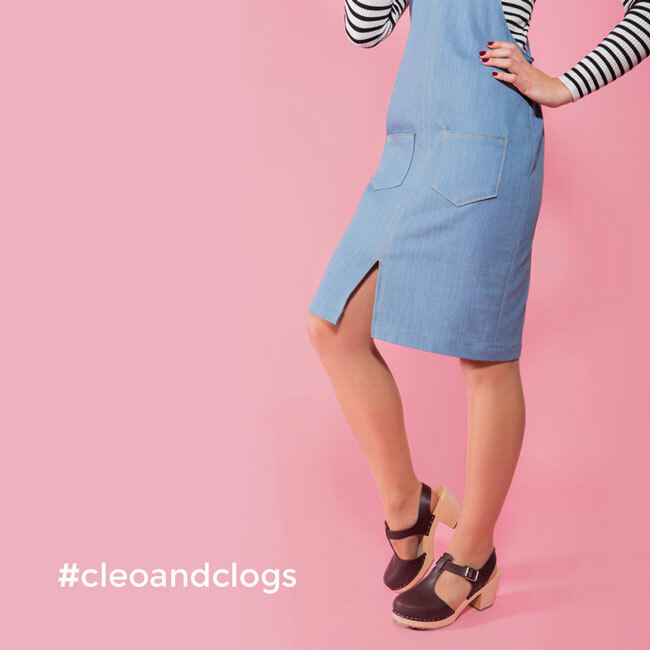 Like the clogs modelled in our Cleo photo shoot? You can win a Cleo sewing kit AND a pair of lovely Lotta from Stockholm clogs in our #cleoandclogs giveaway!